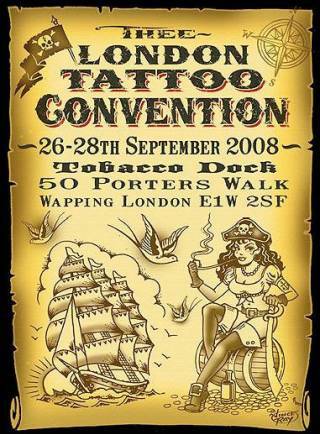 The 12th London International Tattoo Convention, the most exciting, anticipated, spectacular and resoundingly successful celebration of body art in the world, has been confirmed for the weekend of 23/24/25 September 2016 at Tobacco Dock, 50 Porters Walk, London E1W 2SF. 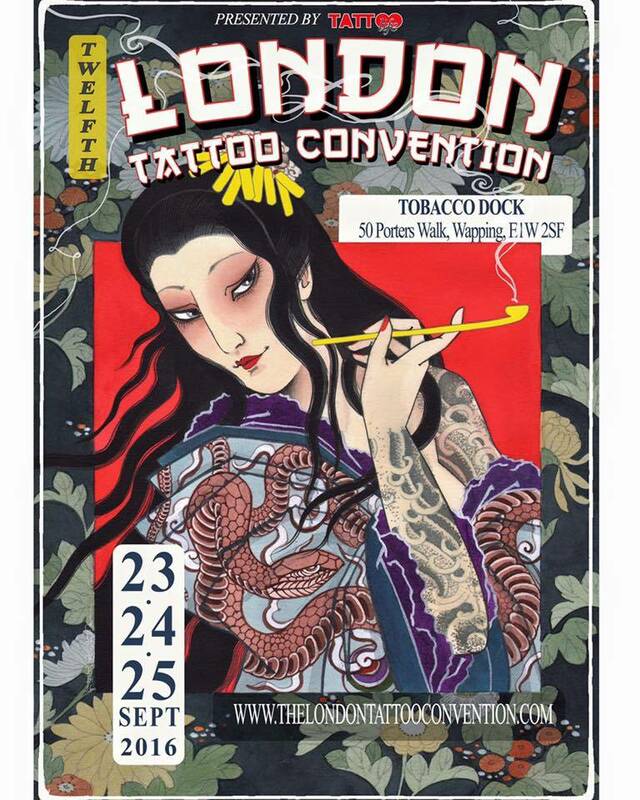 Over 200 of the world’s finest, most prestigious elite tattoo artists have already been accredited to showcase their sensational talents in public at this exhilarating extravaganza, including stars such as Tim Hendrix of NY Ink fame and Japanese legend Shige. 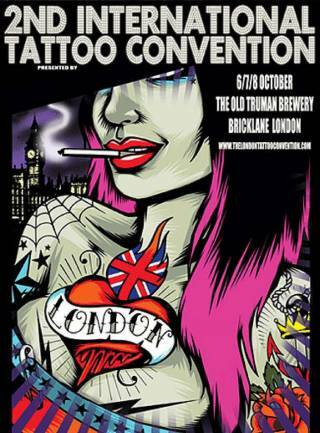 Check out www.thelondontattooconvention.com/artists/2016 for the full list of prominent artists already announced to be working in a dazzling diverse range of styles over the weekend. 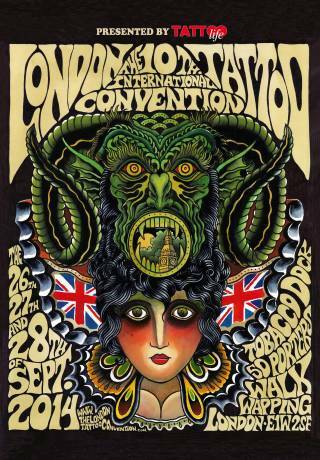 The FIRST EVER 2000AD ART EXHIBITION, featuring original artworks from the finest illustrators of the UK’s oldest and most iconic comic, will be on display, and attendees will be able to purchase numerous prints, books and other 2000AD merchandise at the convention. 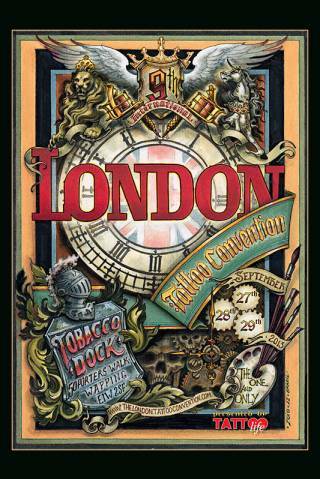 The full list of famous artists and illustrators who are set to be present at the exhibition, meeting fans and signing their unique prints, will be announced in due course. 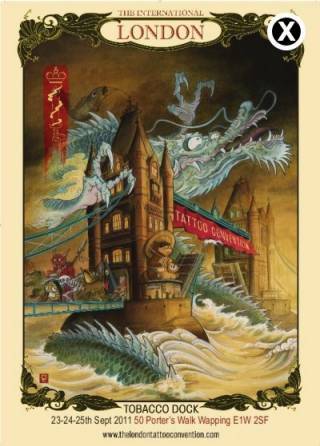 Numerous other unforgettable collaborations of the arts are set to excite the eyes, including inspirational exhibitions from Chris Guest, Christopher Lovell, Haris Nukem and Jim Philips’ The Art Of God Machine. 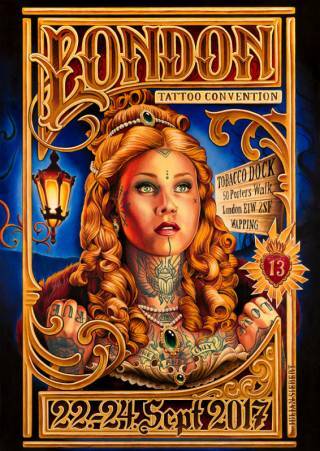 The Fuel Girls, the electrifying, original and best fire-breathing tattooed acrobatic dance troupe in the world, will return to star as the resident performers on the ‘Fuel Stage’, which will also boast the debut appearance of the dynamic new Circus Of Men troupe and much more. Also new for this year is the ‘Pyrohex’ stage, hosted by the London based high octane pyro-fire-aerial performance group Pyrohex, who were such a hit at 2015’s tumultuous convention that they’ve now got their very own podium. Watch jaws drop as the sensational Cervena Fox, Shelly D inferno, Rebecca Crow and Sununu Hernandez amaze with their latest group act with fire. 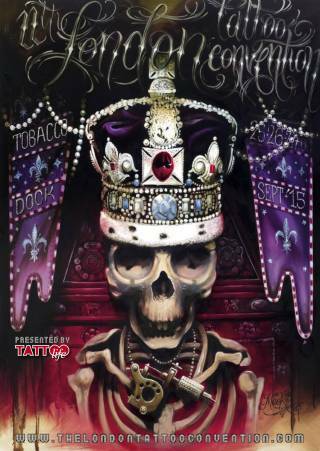 The Main ‘Tattoo Life’ Stage will host new Tattoo Compettions for Saturday and Sunday, with a brand new catwalk allowing the public and press to fully appreciate and capture the tattoo competition entrants’ high caliber skin-inkings. 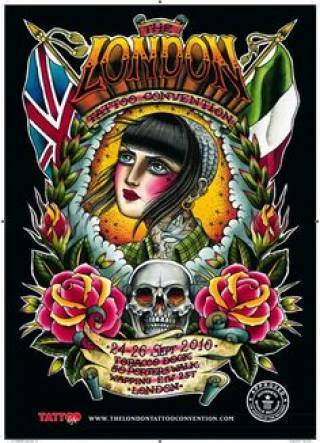 Friday and Saturday’s Main headline bands will also perform on the Tattoo Life Stage, as will the winners of the Miss Pinup UK and International Competitions on Friday and Saturday during the day. 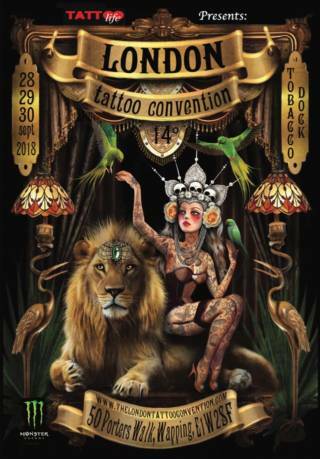 Stunning international model Bibiana Atada will be in attendance at the Convention Organizers’ Tattoo Life stand, located in the huge, diverse vendors and traders market, packed with head-turning alternative stuff you just won’t find anywhere else. 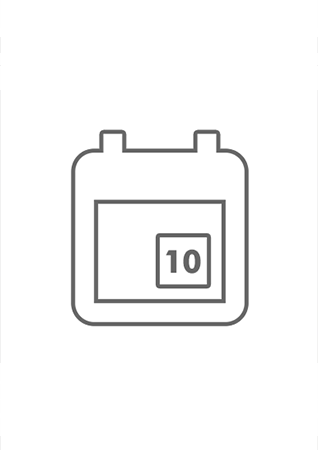 The usual wide-ranging selection of food and drink which will be on offer, including a massive choice of real ales, ciders, craft beers and cocktails, plus everything from Mexican to freshly cooked Malaysian foods, German Sausages, gourmet burgers and vegetarian options. Don’t delay in making plans to immerse yourself in the most sublime, thrilling weekend on the planet. 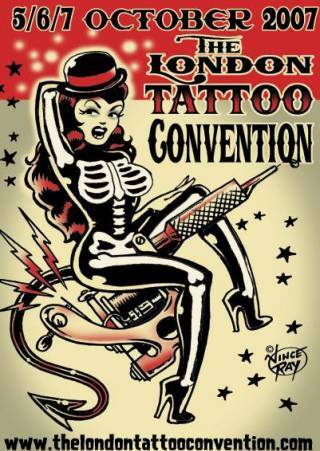 Advance tickets, priced at £20 for Friday, £30 for Saturday, £25 for Sunday or £50 for a weekend pass, are available to purchase via www.thelondontattooconvention.com and Kingpin tickets. Admission for visitors under 14 is free, provided they are accompanied by an adult. 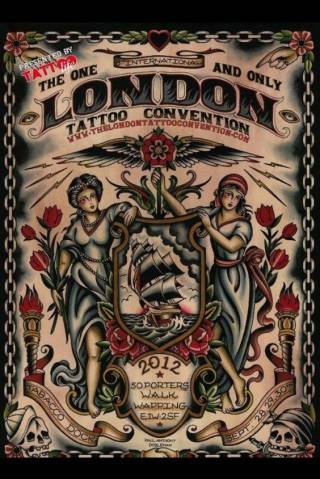 More breaking news to follow soon, keep checking the official website for all the latest news!